Federal circuit courts have diverged on the question of how Rule 9(b) ought to be applied in qui tam complaints under § 3729 (a). In United States ex rel. Clausen v. Laboratory Corporation of America, Inc., 290 F.3d 1301 (2002), the Eleventh Circuit held that, because the “presentment” of a false claim is an essential element of liability under § 3729 (a) (1), a complaint may not survive a motion to dismiss unless sufficient facts are alleged to manifest “some indicia of reliability” that actual false claims were submitted to the government. Applying similar logic, the First and Tenth Circuits have upheld dismissal of complaints for failure to allege specific facts concerning the precise details of claims in False Claims Act suits. The Sixth Circuit relied on Clausen in upholding dismissal in Yuhasz v. Brush Wellman, Inc., 341 F.3d 559 (2003), and the Seventh, Third, and Ninth Circuits have cited to that precedent in dismissals on summary judgment. On the other hand, even the Eleventh Circuit has evinced a willingness to accept less factual specificity where the allegations of a fraudulent scheme are compelling, as it did in U.S. ex rel. Walker v. R&F Properties of Lake County, Inc. (2005). That case involved a nurse’s allegations that her employer, a hospital, was billing nurses’ services as if they had been performed by doctors. The complaint failed to allege the details of the contents of any actual false claims, and yet the Court found that the complaint gave rise to a plausible inference that actual claims were submitted. The Fifth Circuit endorsed the more accommodating, fact-specific approach to Rule 9(b) in Grubbs, distinguishing False Claims Act suits from other causes of action (e.g., common law fraud and securities fraud) to which a more rigid version of 9(b) has traditionally been applied. 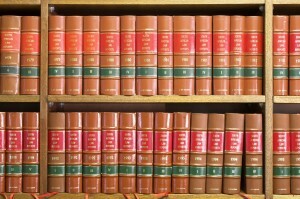 Observing that the False Claims Act is a remedial statute that does not require the government or qui tam relators to quantify damages in the complaint (indeed, False Claims Act violators are subject to a liquidated penalty of $5,500 to $11,000 per violation regardless of actual damages), the Grubbs court held that “[i]t is adequate to allege that a false claim was knowingly presented regardless of its exact amount; the contents of the bill are less significant because a complaint need not allege that the Government relied on or was damaged by the false claim.” Grubbs, 565 F.3d 180, at 189. As 9(b) is a pleading standard, not an evidentiary one, the Fifth Circuit warned against interpreting 9(b) in such a way that bars qui tam relators from the discovery process unless they already have produced sufficient evidence to prevail at trial. Declining to adopt the Fifth Circuit’s reasoning in Grubbs, the Fourth Circuit in Takeda signaled that only those complaints that allege details concerning the content of specific false claims will survive a motion to dismiss under Rule 12(b)(6). The Court cited the need to filter out those False Claims Act suits relying primarily on facts learned through discovery, which is invariably costly in False Claims Act cases. It remains to be seen, however, whether the Court’s categorical imposition of the stepped-up version of the 9(b) pleading standard will soften as it hears new cases that present distinct factual scenarios. Indeed, the Court acknowledged as much in the opinion, indicating that “whether…allegations in a given case meet the required standard must be evaluated on a case-specific basis.” Takeda, No. 11-2077, at 10.